Shoulder pleat long cardigan £32, Topshop; blue sleeveless checked shirt dress £13, Debenhams; purple pashmina £4.95, Hijab Store Online; Saints of soul blue wide leg jeans £35, Dorothy Perkins; Goyco shoe £44.98, Aldo; metallic canvas flower charm shoulder bag £30, Accessorize. Aw thats a lovely outfit, perfect for uni! 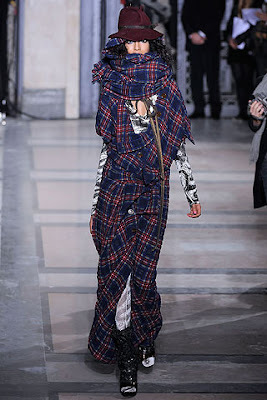 I've always been frightened by runway fashion so I really enjoy looking at your take on incorporating current trends. My favorite posts are the ensembles you put together. I find there's a bit of something for every type in your outfits -- ways to dress them up, and for people like me who love dressing down, options for doing so as well. Thanks for starting this site. I was clueless about how to wear fashionable items without being flashy, and the outfits you post are modest and graceful Masha'Allah.